This article will help you understand the real costs behind building your online store, and how to lower these costs without sacrificing the quality of what you create. The cost of building an online store is going to vary significantly depending on some of the choices you make. It's extremely important to understand these options and what they mean, both in the long and short term. Certain choices that save money in the beginning can end up costing you more in the long run, whether that cost is in dollars or time — or both. The reverse is also true, as a larger investment early on can end up saving you thousands (or even more) over the course of your business's development. There are already many ready-to-go and fully customizable ecommerce platforms available in the market, and one of them is definitely going to serve your business' needs. Custom development for building on a open source solution can be extremely expensive and it never stops — you'll need to keep your developers at hand to constantly maintain and update your online store's inner workings. So there's no need to reinvent the wheel, especially when it means you're going to have to add thousands of dollars per month to your budget. Using an hosted eCommerce solution just makes more sense in the vast majority of cases. Why start from scratch when there's so much proven software out there for you to use? The clear winner in this case: use an hosted ecommerce platform rather than building your own website. All websites need hosting — it's their presence on the internet, providing storage space for the sometimes thousands of files that make any individual website work, and enabling an always-on internet connection to allow visitors to access it. Popular web hosts include 1&1, HostGator, and GoDaddy. Web hosting is generally inexpensive, although the price varies depending on your needs; basic web hosting can be as low as a few dollars per month while more advanced options can go in the thousands. When working with one of these web hosts, you're given access to a file manager interface in which you upload (or directly edit) your website's individual files. You can also install software into your website to serve various purposes, like Wordpress for blogging, or other software to create forums and communities. Some eCommerce software works the same way; it's installed into your file manager to provide the structure of an online store. An example of this type of licensed eCommerce software is Magento. Some licensed eCommerce software is free to use, but there are other factors to consider. Are Open Source eCommerce Platforms Really Free? Free eCommerce software is offered with the caveat that you (or your team) will be responsible for maintenance and updates, usually involving a re-download and re-installation of the new version of the software. It's important to grasp the full implications of this: the vast majority of the support will be on you. You'll need to staff your company with web developers familiar enough with the software to handle any emerging problems, like security vulnerabilities, and fix them in a timely manner. Open-source software is especially vulnerable to hacking, which can cost tens of thousands of dollars in lost profits and recovery efforts — a death sentence to some businesses. Of course, there are thousands of online businesses that rely on this type of software and are still going strong, but keep in mind that in order to remain secure, they have vigilant developers on their team who work constantly to keep their business and customers safe. When it comes to eCommerce, free software is not free — it simply shifts the cost away from the software package itself and onto your company's need to hire specialists. Other eCommerce software offers a more complete platform that includes web hosting and other crucial features in its pricing. The benefit of going this route is that you won't have to install, maintain, or protect the software yourself, and you won't need to perform updates on your own. You'll have a full support team available to handle bugs and any possible vulnerabilities before they become a problem — in short, the burden of maintaining your online store's software is taken off your shoulders. Some examples of this type of eCommerce software are 3dcart, Shopify, and BigCommerce. Another important advantage of a hosted eCommerce platform is security. Your online store needs an SSL certificate to encrypt customer information, and in order to accept credit card payments you'll need to be PCI compliant. If you're hosting your own online store, you'll need to purchase an SSL certificate yourself, and you might find meeting some of the standards for PCI compliance to be difficult without a dedicated security team. Both are absolutely necessary but will add to your expenses. However, hosted eCommerce platforms can have this level of security built in, and roll the costs in with their normal fees, saving you time, money, and manpower. Another plus is that some eCommerce platforms give you unlimited bandwidth, meaning they don't charge you for large amounts of traffic, while some traditional web hosts do. If you start pulling in lots of customers to your store on a regular web host, you can see your monthly fees skyrocketing. The clear winner in this case: use a hosted, PCI-compliant eCommerce platform. All websites need a domain name, which functions as the web address people will type into their browser to visit your site. 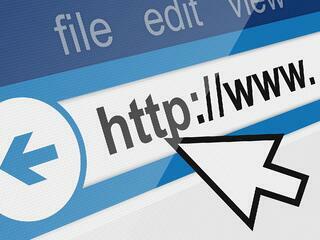 check out our Complete Guide to Choosing the Right Domain Name for Your Online Store. Some web hosting companies offer a free domain registration with your hosting package, but it's only free for the first year or so — you'll need to pay as normal to renew it later on. Some hosted eCommerce platforms will also register your domain name for free when you sign up for their services. It may only save you around $10, but it's definitely convenient, and savings are savings. Make sure you ask about this when you speak to a sales representative about a platform you're interested in using. Since we've narrowed it down to a hosted eCommerce platform as your best option budget-wise, you need to understand one of the most significant differences between the individual eCommerce platforms on the market: the number of included features and available apps. Features are the building blocks of an eCommerce platform, and essentially sum up the capabilities of the software regarding how much you can do with it and how freely you can customize it to the needs of your business. Some features involve product listings, customer service, built-in marketing capabilities, and more. 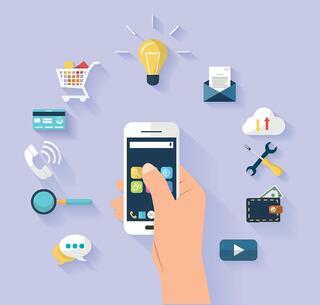 Apps, on the other hand, are best used for the purpose of connecting your online store to third-party services in order to expand its capabilities, such as integrating with accounting software like QuickBooks, shipping software like ShipStation, or email services like MailChimp. Apps can give your online store a boost in other ways too, like enabling advanced features that give you an edge in your marketing. 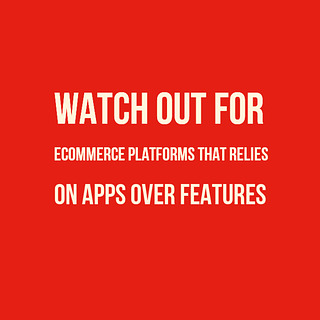 What you need to watch out for is when an eCommerce platform relies too much on apps to cover features that you'll know you're going to need, therefore locking necessary features behind an additional monthly app cost. 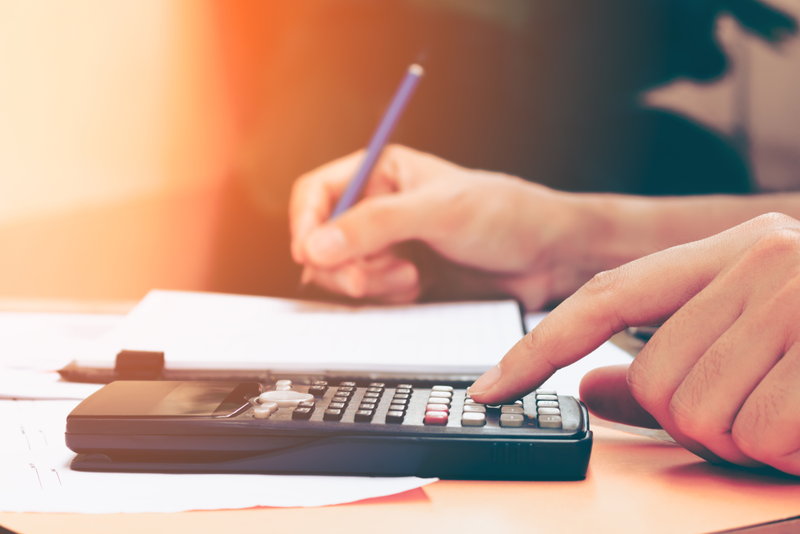 This can be an unpleasant surprise as you discover that in order to perform an important daily task involved in running your business, you'll need to pay an additional cost that you may not have planned for. When apps are needed to fill in missing features, you can find yourself having to pay for multiple apps just to keep your store running and your customers happy — and these app charges add up, causing a severe increase in your expenses. A good example of a platform that heavily relies on apps is Shopify, and while it's an extremely popular eCommerce platform, nearly every Shopify store owner discovers that paid apps are needed to activate features the store owner thought were already included. Contrast this with a platform that restricts apps to "extras" only, rather than necessities, and you'll see a vast difference in price even though the monthly plans themselves (before app purchases) are closely comparable. The Real Cost of Running a Shopify Store ebook breaks down the difference in costs between the app-reliant Shopify as opposed to 3dcart, a platform with the philosophy of apps as "extras, not necessities." Regardless of which platform you decide to use, this ebook will educate you as to the types of features you could find yourself paying an additional charge for, if you're not careful to choose a platform that doesn't overly rely on apps. The costs add up quickly — for example, 3dcart and Shopify both offer Basic plans at $29 per month, but Shopify users will actually need to pay over $80 per month to get similar functionality to the base 3dcart plan. This type of situation is why you should always evaluate an eCommerce platform's app store versus its built-in features. Another issue with app reliance is that many apps are developed by third parties and not maintained by the same team that develops the platform. This can cause problems including poor integration and lack of support, which makes things even more difficult if your online store depends on these apps to function properly. Sometimes, third-party app developers even disappear completely, leaving a hole in countless websites that relied on them — or worse, an app is taken over by a developer that introduces malicious code, potentially harming any website with the app installed. When choosing an eCommerce platform, look for included features and pay close attention to the platform's app store — if you see too many apps that you know you'll need to pay extra for, consider another platform that has these features included. Apps can be a wonderful thing indeed, but not when you need to use them as part of your online store's very foundation. 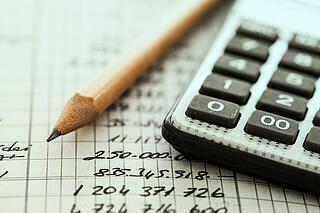 What About the Cost of Web Design ? When it comes to designing the look and feel of your website, you have a similar choice to make as with development: do it yourself (or hire someone), or look for pre-existing solutions like themes or templates. It can be easy to immediately convince yourself you need custom web design, especially if you have a mental image of exactly how you want your online store to look. But it's better not to get too attached to your initial concepts, because this attachment can cause you to overlook new ideas that could vastly improve your conversion rate — and because you shouldn’t underestimate the quality of the templates that may be available to you! Of course, custom design has its benefits, as what you or your designers create will be completely unique to your store alone. 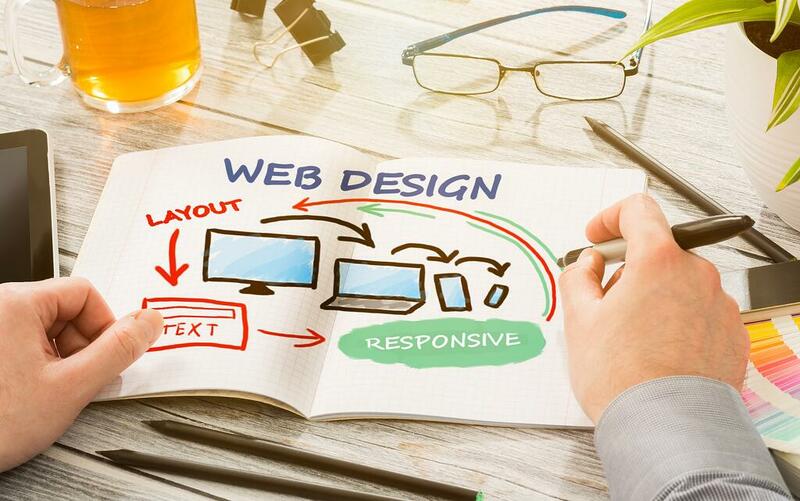 Be aware, though, that custom web design from a competent webmaster can cost you thousands of dollars, and it's also possible to come up with a highly personalized design even if you begin with a template. Templates are just that: templates. They can be used as-is, or they can be altered to more closely match your vision by changing colors, graphics, and other elements. A template can be developed into a version that looks as if it were custom-designed just for you. The best part is that many templates are free, and even the paid ones don't usually cost more than $99-$250. You can reach a compromise between custom design and website templates by choosing a template and paying a designer to customize it for you. This can result in the best of both worlds: you get the design you want at a lower price because the designer doesn't need to start from scratch. A designer who customizes your theme will need to be familiar with the structure of the theme and underlying eCommerce software, so look for a designer who has some association with your eCommerce platform so they will have that familiarity. Theme customization generally runs between $300 and $1,000, but it’s still far less expensive than completely custom web design. If you decide to do all the customization yourself, remember that it may take you some time to familiarize yourself with the process, depending on how much you know about HTML, CSS, and other coding languages that may be used. Graphic design is the other half of the equation and you'll need to spend time on that as well. This time may be better spent working on other aspects of your business, so be sure to put some thought into this before deciding to create graphics yourself. Your website needs content, not just to describe your products, but also to provide information to your customers and help establish you as an authority in your industry. Good site content does a lot for your search engine rankings, and the value of content writing can't be overlooked. You can write content yourself, but it can be time-consuming, especially if you aren't happy with your writing. You may want to hire a professional content writer. The cost varies, but usually falls between $50 and $75 per hour. Some content writers charge by page or word count instead, so make sure you're clear on pricing. Content writing may also be offered as an optional service from your eCommerce company, so this can be an easier way to get a good writer at a decent price. 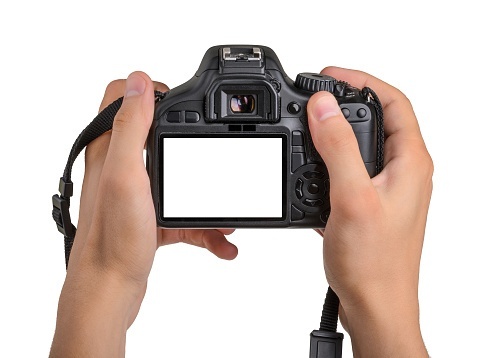 High-quality photos act as a strong selling point for your products, so you may want to hire a professional photographer to show off your inventory to best effect. There's a huge variance in cost, with professionals offering their services for a wide range of rates — but it can be very expensive. You might also consider setting up a product photography studio and taking the pictures yourself. For this, you'll need a backdrop, some bright white lighting, and a camera at the very least. A photo tent is also quite helpful, and sometimes you can find the complete set of equipment for sale at a discount. Your products may have different photography needs, such as models if you sell apparel, in which case you'll need a full-size room to use as a studio. Don't forget that you'll have to pay the models as well, unless you find willing volunteers. Your marketing budget can grow with the size of your business, so you can hold off on paid advertisement for a while if you need to. If you do start using paid ads, Facebook and Google both have ad services that let you define a strict daily or weekly budget. Start slowly with these until you see results. Online stores benefit greatly from email newsletters, so you'll need a subscription to MailChimp or a similar mass-email service, unless your eCommerce platform comes with a built-in newsletter module. Social media like Facebook, Pinterest, and Instagram are all very profitable for advertising organically, but you need to put real effort into communicating with your customer base and keeping your posts frequent and exciting. Your social media can be handled by a dedicated employee if you start receiving lots of interaction — just understand that this relationship with your customers must be nurtured to remain effective. Search engine optimization is a necessity: your website must be structured correctly and follow the current standards put in place by Google. When these standards change, you'll need to update your online store to meet them, which can be impossible to do without an SEO expert on your side. An SEO consultant can cost you between $75 and $150 per hour, but your eCommerce platform may offer SEO packages at a more affordable price. Fortunately, hosted eCommerce platforms update much of the SEO requirements during their software updates. The world of payment processing can be a confusing one. In order to accept credit card payments, you'll need a merchant account with a payment processor. The cost of this varies, but usually comes down to a small percentage-based fee per transaction. PayPal and other alternative payment methods also charge a similar fee. The average rate you can get from credit card processors like Braintree, Square or Stripe is 2.9% plus $0.30 per transactions. Watch out for additional transaction fees from ecommerce platforms, for example Shopify charges a transaction fee in addition to your payment processor, which adds up to 2%. If your head is spinning from all that information, here's a quick takeaway that narrows down the most clear-cut choices you can make. More included features than "required apps"
3dcart fulfills these requirements, and you can start as low as $19 per month and upgrade to higher-tier plans when you're ready. Compare this to setting up a store on your own: you'd be putting thousands of dollars down before you're even online, potentially leaving your business in the red for a long while. Plus, 3dcart offers a 15-day free trial so you can learn the software with zero initial investment. At the end of the day, only you can answer the question of how much money you want to spend and how much time you want to take to get your online store off the ground. Maybe you want to do it all yourself or outsource to a range of ecommerce services. But if you want to do it fast, on a solid foundation, and without breaking the bank, 3dcart is your best option.